SMOK OSUB 80W TC Plus Starter Kit with maxim output power 80W and large battery capacity 3000mAh, which combine with OSUS Plus 80W TC MOD and Brit Sub Tank. Five colors are available. 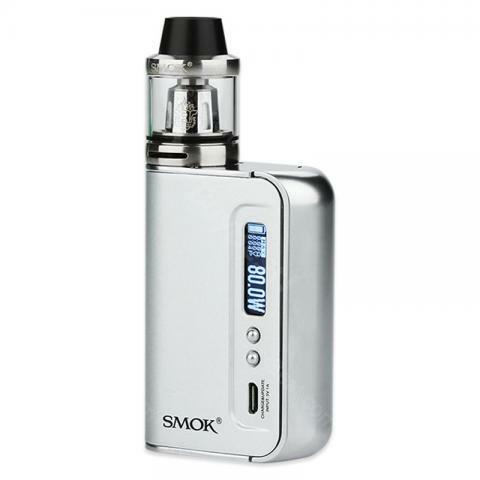 SMOK OSUB 80W TC Plus Starter Kit with maxim output power 80W and large battery capacity 3000mAh, which combine with OSUS Plus 80W TC MOD and Brit Sub Tank. For its Brit Sub atomizer, It is with 3.5ml e-juice capacity in 24.5mm diameter. For OSUS Plus 80w TC MOD, it features with integrated streamline design, and you can also switch it between TC mod and VW mode. With a OLED display, you will easily read its output and have a better control for vaping power. You can also upgrade firmware to keep it update. In a word, this perfect combination will bring you nice vaping experience. 5 colors are available. • Brit Beast is compatible with TFV8 Baby cores. 80W SMOK OSUB Plus TC Kit is OSUB Plus 80W TC mod features integrated streamline, big lateral fire key, and built-in 3300mAh capacity. This is my all time favorite mod. My other one finally died, so I had to replace it. Draws great, the tank is awesome. All around a great mod.